Right first thing’s first before the EPIC and picture heavy post about the SHOWstudio exhibition at Somerset House! Hopefully this post will provide an insight for those who want to visit the exhibition (please do!) and a virtual tour for the rest of you around the world. This is what I love about blogging, the little side bar at the bottom of my blog that makes a note of all the visiting countries really fascinates me and makes me realise that we may all be thousands of miles apart but we all share the same interests in fashion. Hello to you all, wherever you may be reading from! 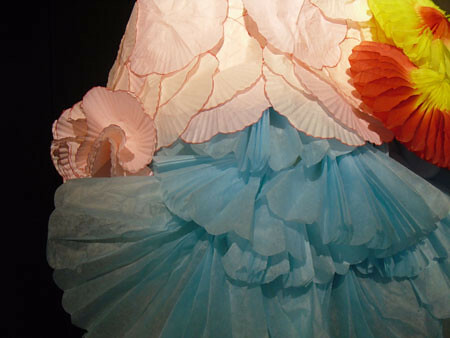 SHOWstudio is a fantastic exhibition that bloggers won’t help but adore. Why? Well why do we like writing our blogs? 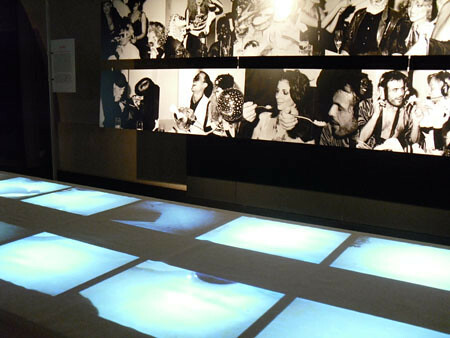 It’s interactive and that is definitely the main theme of the exhibition of SHOWstudio. As a website, it’s principle aim is to interact with a huge online audience from around the world and the exhibition most definitely reflects that and uses many clever and fun techniques to really engage with the visitor. The website aims to ‘demystify the creative process of fashion’ but to understand the exhibition more fully then you definitely need to click on the website. The exhibition itself is a funny one to review because unlike an art exhibition or a retrospective there is no chronology and rather, it documents different projects that the SHOWstudio website has been involved in. 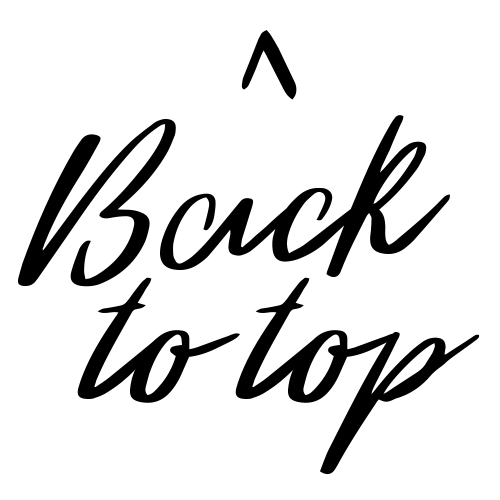 Each project is a separate entity that doesn’t link to the one before or after it. There is not so much of a beginning or end but an overall feeling of the present which is perhaps fitting for the instant nature of the Internet. 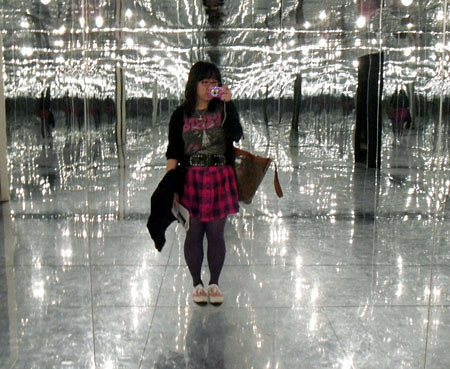 The exhibition began in a mirrored room which reflects the fact that we only have one image of ourselves and by having a room full of mirrors, this forces us to see many different reflections of ourselves and which links to the intense scrutiny in which fashion and image culture is based upon. It was the perfect spot for an outfit shot and this most definitely is a space where physical image and dress is made quite apparent. Next we walk into a room which holds a huge, triple sculpture of Naomi Campbell. As you can see by the guy in the background, the Naomi’s are easily three storeys high. As I’ve said before, interaction is a key part of the website and Naomi is the first of the interactive exhibits. Visitors are invited to a little drawing pad where the guy is standing and their drawings or thoughts are projected onto the sculpture. Naomi as we all know, is quite a prolific model and everyone has an opinion on her. 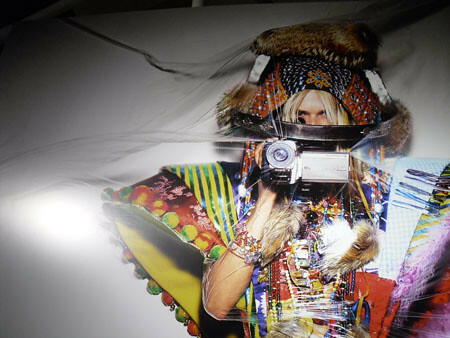 Nick Knight draws on the fact that models are idols, celebrities and a reflection of the popular culture. 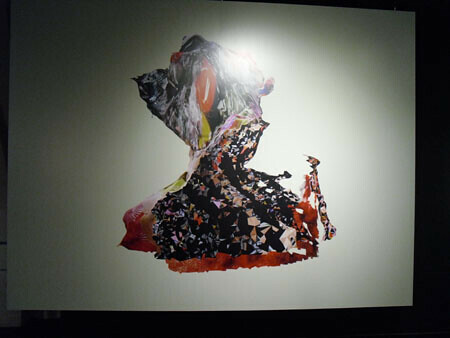 The following parts of the exhibition were split into different areas of focus from the various projects. These were split into Process, Performance and participation. 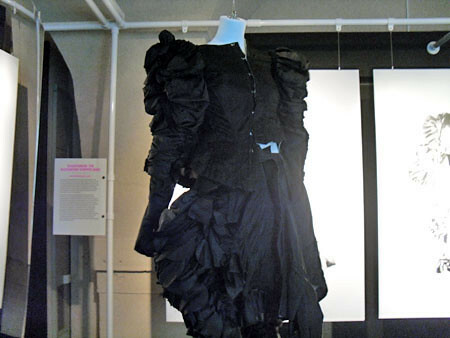 The following exhibit was called ‘Power of Witches’ from 2004 and was developed in collaboration with Rei Kawakubo. The idea of this project was to show the many processes that lead up to the creation of the fashion image. The project was based on a shoot for AnOther Magazine featuring the CDG Witches collection from AW 04/05. A live webcast was put into action which allowed people to see the everyday activities from retouching the image and other various changes. This is a board which shows some of the studio shots, retouching sessions, progress reports and Rei Kawakubo’s responses to the decisions. 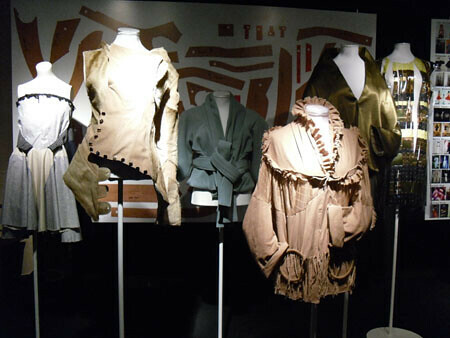 The following project was called ‘Sweet’ from 2000 and was in collaboration with stylist, Jane How. 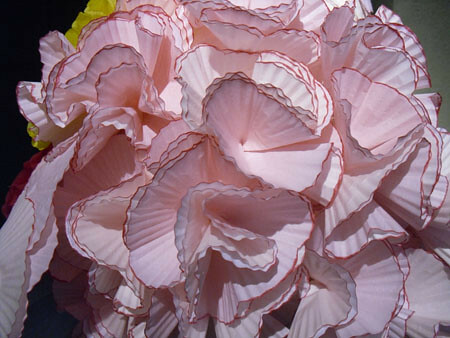 This project involved experimentation with 3D imagery and focused on Jane’s sweet wrapper creations of S/S ’00 RTW collections ranging from Hussein Chalayan, CDG and Yoji Yamamoto. The results have various Sci-Fi connotations. 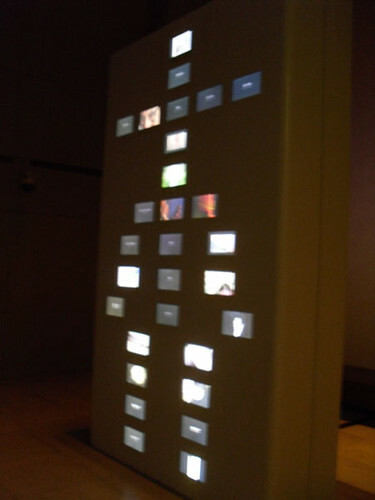 It was also another interactive piece which allowed you to move the image so you could see it from different angles. 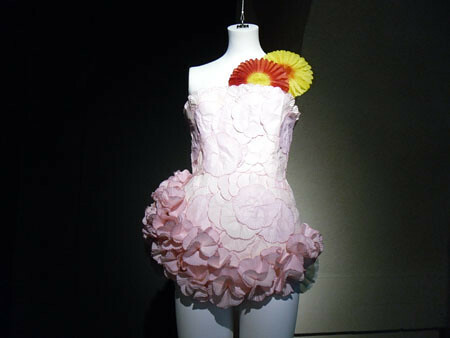 This sweet wrapper inspired dress was displayed next to it, and I was really amazed at the detail that she was able to capture with the muffin cases! I thought this looked like a Hydrangea! 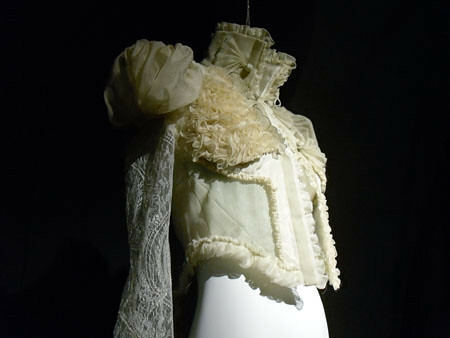 Following this was a project called ‘Past, Present and Couture’ by John Galliano, 2002. 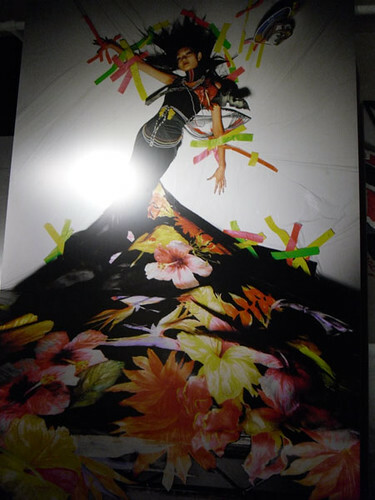 Thirteen photographs were commissioned as a part of an exhibition planned to celebrate Galliano’s 5 years at Dior. Galliano chose different outfits to represent each of the haute collections he had created for Dior over the last 5 years and the models (Karen Elson, Alek Wek, Erin O’Conner etc) were asked to bring each look to life with various poses. 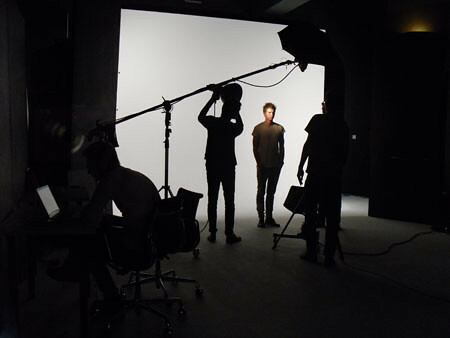 Accompanying the photos were behind the scenes footage of the photo shoot and Nick Knights direction of the fashion image. Next we had a project by photographer, David Weightman who created ‘Picture/Message: Poser’ in 2003. This was a four day shoot inspired by 1960’s horror film, ‘Peeping Tom’ where the murderers victims were forced to watch their own deaths in a mirror that contained a video camera. I’m not one for scary movies so this is not something that I will be watching for reference! Anyway, Weightman took the idea and put a camera phone behind a concave mirror and toured the front rows of S/S 04 Paris Fashion Week. In this way, he takes the same kind of idea and forces those he photographs to confront their own appearance as he takes their photo. The likes of Anna Wintour, Tracey Emin and Katie Grand are all among the so called ‘victims’. I really liked this next one. Titled ‘Phonecarte‘ this project ranged from 2004-2008 and involved SHOWstudio asking models to participate for this answerphone message. 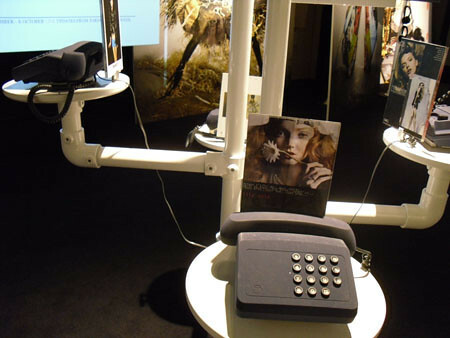 Each phone ‘belonged’ to a different model and each one was asked to leave answer phone messages during different fashion weeks. The models involved were Karen Elson, Irina Lazareanu, Lily Donaldson and Lily Cole. What I liked about this is that it offered a unique and personal insight of what the model was experiencing and as the project highlights, a voice that is usually unheard during Fashion Week. The following was called ‘Banquet’ and it was an interesting installation to explore. The banquet by Heston Blumenthal (British, molecular gastronomer-in essence a chef whose food is innovative but also a bit strange) was created as a commission from W magazine to photograph luxury evening wear from AW ’04-05. Webcams were placed above the guests (as to see their plates) and hidden microphones captured their conversation. Guests included Dita Von Teese, Gemma Ward and Liberty Ross. 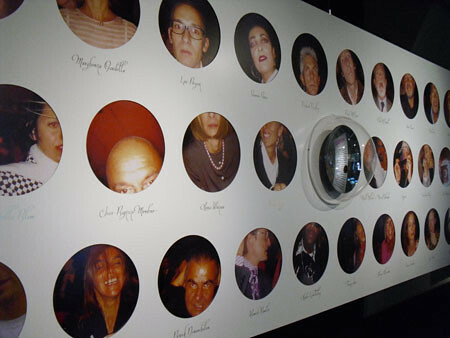 This installation was fun because on the wall were photos of the guests and then directly below was a table where the images of the plates were projected and the sound recorded was also played. It very much felt like a ghost of a banquet and was quite odd to walk around! 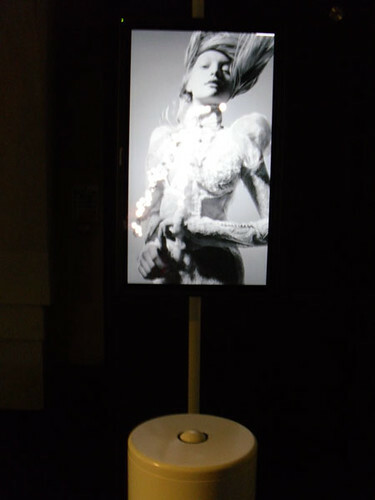 The next interactive exhibit took the form of the Model sessions. 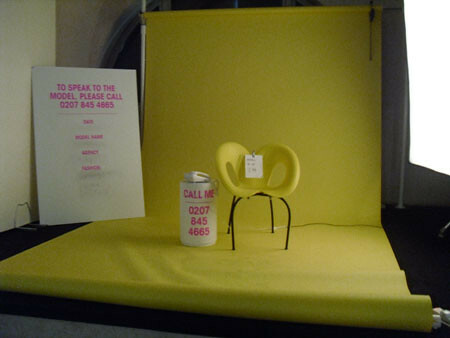 Created by stylist Simon Foxton, this part of the exhibition would feature a model, styled by Foxton and the model would be contacted by phoning the number shown. 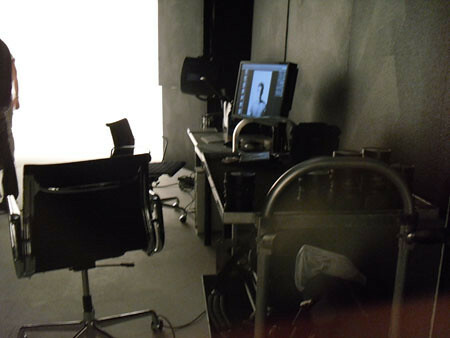 Originally the SHOWstudio project involved a live webcast where viewers would watch the models eat, read, listening to music of answering questions. The same idea applies to the live sittings for the exhibition. Unfortunately I was a little too early for the model to appear! This one involved more interaction where visitors were encouraged to mix and match various body sections to create an image. I loved this because it reminded me of the fashion designer games which I had when I was little. This was called ‘Dress me up, Dress me Down’ and performed by Liberty Ross, 2005. The idea stemmed from the idea that models let others ‘use’ their bodies in the form of creative direction by the photographer, stylist and retoucher. This project turns this around by allowing the model and audience to choose what the model wears and poses. The main message behind this project was questioning the industries reliance on sexual desire and fashion. Perhaps this was the most interactive exhibit of all. I was lucky enough to turn up on a day where Nick Knight was in the LIVE STUDIO and taking photographs of male models for VMAN. We stood behind a two way mirror and got to watch the studio in action. I loved this secret interaction with the shoot and spent a good half an hour staring at the beautiful models and the photography in process. 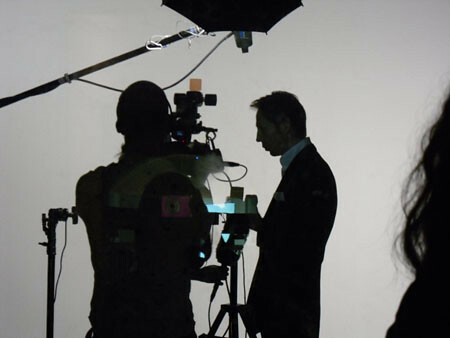 Nick Knight was very dapper in his monochrome suit. This was particularly interesting as the the live shoot becomes a live gallery exhibit. It is something that is usually untouched and intangible to the viewer and here, it becomes a performance to be analysed. Another interactive piece was called ‘The Sound of Clothes: synaesthesia‘ which allowed the user to use a rollerball which would move on the screen. When it touched different areas of the garment, different music would be played. This looked at texture and sounds and ideas surrounding fashion and music. 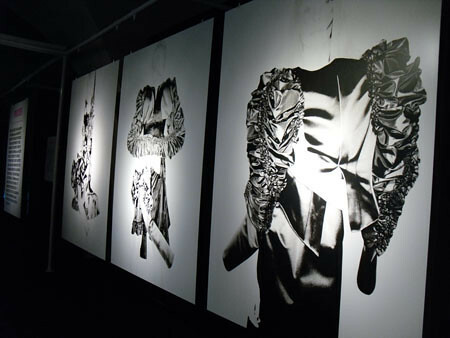 In particular, this explored SHOWstudio’s ongoing investigation into different ways of communicating and describing fashion. 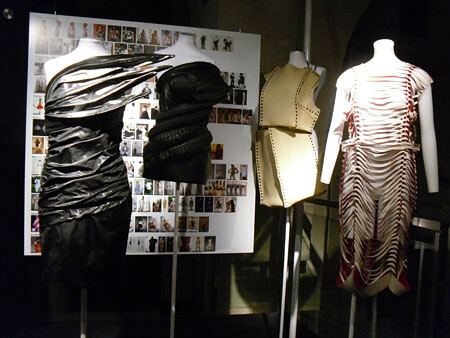 This featured Nicolas Ghesquiere S/S 06 collection and involved the collaboration with composer, Nick Ryan. Unfortunately I cannot quite remember where this project fitted in with the exhibition but features slides belonging to different models. Next we had the Design Download area which I mentioned a while ago. Here fashion designers including McQueen, Gareth Pugh, Margiela all contributed patterns as part of a competition for viewers and the winning designs on display were chosen by SHOWstudio.com and the curators of the exhibition. 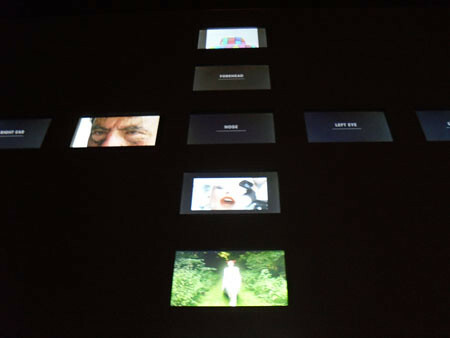 At one of end of the exhibition was the film space where a large screen was showing various short videos. 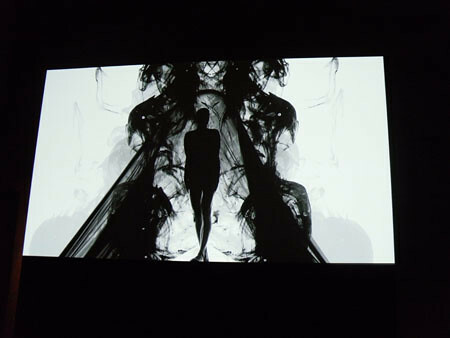 We’ve all seen Gareth Pugh’s dramatic video online but seeing it on such a big screen with surround sound is something else! One of the last areas of the exhibition was titled ‘The Fashion Body’ by Nick Knight, 2009 and explores the fashion body through film. Various designers, photographers, models, film makers were asked to contribute towards a film for the season and concentration on a different area of the body using various pieces from the AW 09 collection. Phew! This took me forever to write up, so I apologise for the delay! There was so much more to the exhibition that I couldn’t possibly cover it all, it would take weeks for me to actually gather my thoughts together and write something vaguely understandable! 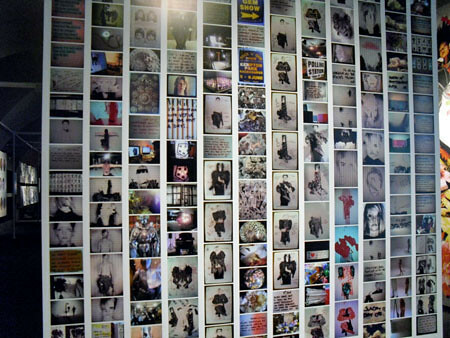 The exhibition was incredibly current and relevant because so many bloggers have noticed the huge change in the way that bloggers are being viewed. With bloggers having a significant presence at runway shows, magazines and the increased events dedicated to bloggers we can definitely see first hand how the Internet is changing the fashion experience. This is the perfect way to end this review and it pretty much speaks for itself. Wise words Mr. Knight. I think us bloggers would all agree with you.